Classroom organization is the key to a well-managed classroom. With any kind of written work from students and memos from the school, a specific place to turn in or retrieve papers is a must. Having student mailboxes or personalized file folders makes it more orderly. grade. Trying to reduce the amount of paper students turn in, especially at not very net-savvy schools, it is hard to avoid using up reams of notebook paper. Before the first day in the classroom create student mailboxes. 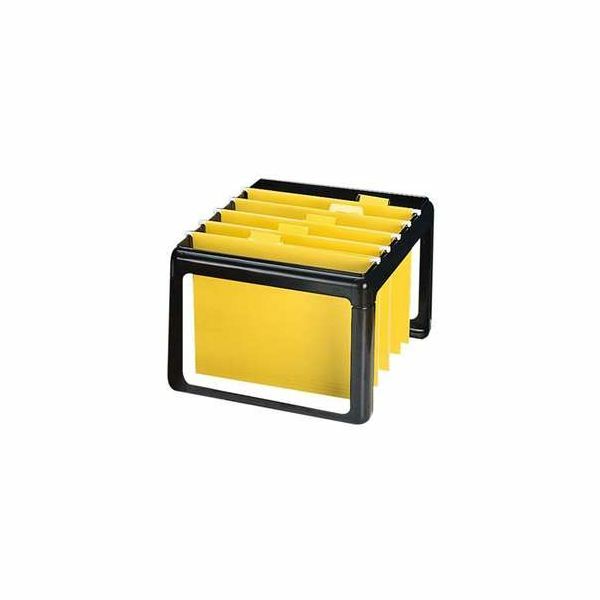 The supplies can be milk crates from the cafeteria (or an office supply store if the cafeteria can't loan them out) and one hanging file folder for each of the students.The folder could easily be added to the class supply list at the beginning of the year. When teaching several periods per day with 20 to 30 students each it is easy to designate one milk crate for each class. Then, within the crate each student has a folder. Assign each student a number going in alphabetical order down your class list. In the corner of each paper turned in, instruct students to put their student number and periods they are in your class. If Aaron Adams is in your third period class, his number might be 1-3, designating his student number (1) and the class period(3). When papers are graded, return them to the students' folders. You can also use them for distributing school newsletters and such. If you have specific journals or notebooks that the students need everyday, the students should keep journal notebooks in their mailboxes as well. This serves a dual purpose. Each day as the students pick up their journals at the beginning of class, they also pick up any graded papers or school notices as well. Be strict with your students about turning in and retrieving papers from the proper place. Hopefully this will eliminate a student saying, "I turned my homework in, you must have lost it." You only need one file box if you have your class all day long. Use pocket folders to drop down into the hanging file. With younger students you may want to send the pocket folder home everyday or once a week with papers so that parents can have immediate knowledge of how their child is progressing. You may also want to include a behavior sheet or comment sheet that remains in the folder and travels back and forth from school to home. The pocket on the left can be labeled “For school" and the pocket on the right can be labeled “For home" and papers can be put in the correct pocket for efficient parent-teacher communication. There are many way to implement efficient classroom organization techniques. Only one has been mentioned here. Student mailboxes will keep your classroom orderly and minimize the amount of "lost" papers.